Live near Wichita Falls? This looks like it’ll be a real hoot! More information can be found on our website at www.gfsavvyexpo.com. We do still have some openings for vendors so if anyone is interested, they can email info@gfsavvyexpo.com. Want more? Sign up for updates... It's FREE! Please check the date on this- the website shows April 19th. Thanks for stopping by! 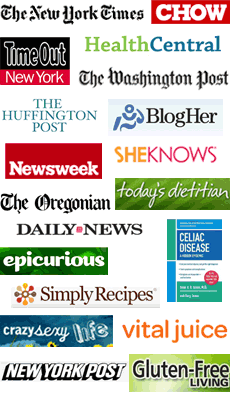 I'm Kelly Courson and this is where I've shared my gluten-free finds since 2003. The world has been my gluten-free oyster for 14 years now and I love sharing what I've learned in order to help others adapt to a gluten-free diet. Have a look around and feel free to leave a comment. Connecting with people like you is what has kept me going this long! Seriously. Gluten-Free Giveaway: Joan's GF Great Bakes Gift Boxes! Happy Celiac Disease Awareness Month! !